With the Scottish Highland Pony we distinguish between a small, wiry island- and a large, rough mainland-type commonly called "Garrons", Gaelic for gelding. The barren and harsh environment of the Scottish highlands shaped the Highlands and made them resistant, thrifty and undemanding. As ideal workhorses on farms, over time common folk and nobility alike have come to appreciate them. Especially in the legendary battles against England’s stiff knights, the small, agile ponies proved advantageous for the Scots. Due to raids and battles, the number of animals was dramatically decimated. 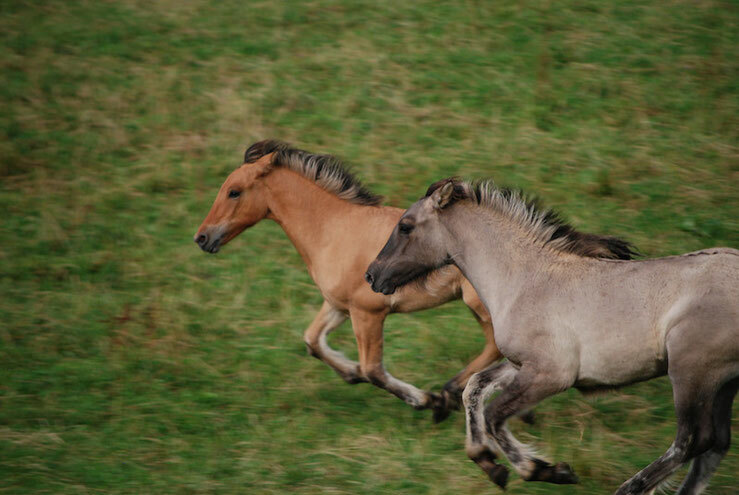 However, thanks to the growing trend of deer and grouse hunting in the mid 19th century, efforts were made to breed this reliable pony again, as they were best suited to carry a deer up to 150kg from the rugged mountains of Scotland. In 1923 the "Highland Pony Society" was founded and since then has provided planned breedings. Queen Elizabeth II herself is one of its enthusiastic supporters, and as a patron of the Highland Pony Society, she breeds Highlands on her Scottish estate "Balmoral". It is believed that today's Highland Pony is a cross of the original, northern horse and the Celtic pony. The stallions, left behind by Spanish conquerors, explain the baroque appearance of the Highland Pony. The excellent qualities of this ancient breed are highly appreciated in every division of the "modern equestrian sport", including jumping, dressage, racing, Western, trekking, distance or therapy riding. Highland Ponies have a fantastic variety of coat colors. Among the most common are grays or duns of all shades with a dorsal stripe and zebra markings on the legs. Black and brown Highlands are rare, there are almost no sorrels, and pinto horses do not exist. Except for a star on the forehead, no spots are allowed. 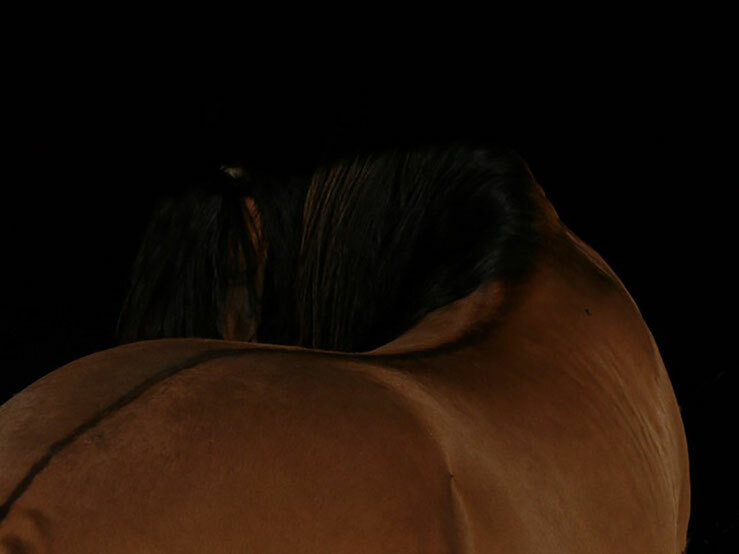 The beautifully curved neck with the long, silky mane and voluptuous tail speak to its natural beauty. Characteristic for this breed are the strong, black hoofs and the slight hair behind the fetlocks. This small, compact horse features a strong hind leg with good jumping skills. The height between 132 and 148cm combined with a remarkably soft gait makes this sure-footed all-rounder an ideal companion for young and old. Particularly noteworthy is their strong bond to humankind and their inexhaustible work ethic. Thanks to their exceptionally binocular vision, they rarely shy away and provide the rider with an important feeling of safety. 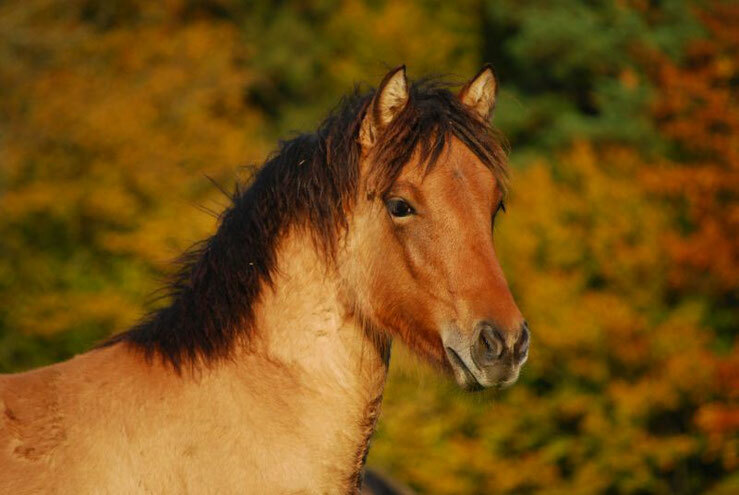 The Highland Pony’s teachability and distinctive eagerness to learn, and their courage and calmness make these versatile quadrupeds an adoring partner.